Camping is fun, exciting, and opens a way to many new adventures. But even before you head for your trip, it is really important to have your camping gadgets in hand. Whether it’s a portable stove, a nifty backpack or a sturdy little hammock – each of these tools will make your trip simpler and way more enjoyable. But how do you figure out which outdoor essentials make the cut? Being avid campers, we understand your woes and that is exactly why we’ve come up with this detailed list featuring the best camping gadgets that’ll help you make the most of your trip. Flashlights are perhaps the most integral part of your camping trip. Just like your food, water and first-aid kit, this nifty tool is incredibly useful when you’re chartering amid remote areas. Crafted for your daily adventures, the right flashlight will last you long enough. Alternatively, it’ll also be resistant to every kind of weather. In case you’re muddled with choices, try the UV flashlights from GearLight flashlights for maximum fun and the best kind of adventures. As bizarre as it sounds, pocket blankets are yet another important camping gadget that makes you trip fun and comfortable. You can always try the 63” pocket blanket from Matador in case you’ve haven’t tried one already. These water-resistant blankets will easily fit in your pocket and serve as an ideal accessory for your upcoming tour. And the best part- they are easily foldable and backed by puncture resistant features. While camping is great, it also has its fair share of challenges. Unless you’re super-organized about everything, you’re likely to come across a situation where you’re out of food and every kind of hot beverages. But guess what? This will no longer be an issue if you have the right Espresso Maker at your disposal. And that is exactly where MiniPresso GR’s compact espresso maker comes to play. This nifty little tool will whip up a perfect cup of warm coffee as and when you need it. The device is easy to use and easier to maintain. All you need to is add water, coffee and sugar to get your warm cup of espresso up and ready within just a couple of seconds. Whether you’re traveling with your family or a group of old friends- a portable bunk bed will take your camping trip to the very next level. These beds are easy to set up and they offer maximum camping comfort. And the best part – you can use them regardless of the weather. Since most of these beds are available in a wide range of sizes, you’ll definitely find a perfect one that’s tailor-made for your tent. As of now, the camping beds from Cam-O-Bunk are widely lauded by camping enthusiasts. So if you’re planning a camping trip, do give these beds a try. Can you ever head for a camping trip without including a mosquito repeller? The perfect tools to protect your skin from mosquito bites, these repellers are compact and lightweight products that practically keeps every kind of insect at bay. While there are many top mosquito repellers out there, we’d recommend Thermacell’s MR150 for best results. This device doesn’t just keep the insects away, but it also exudes a pleasant and soothing smell that makes you feel much more comfortable. Your camping trip is practically incomplete without a sturdy water filter and perhaps this is why you need to invest in a product from a leading brand. Most of these filters feature a two-stage filtration system that gets rid of bacteria, protozoa and funny after-taste thereby keeping your water pure and crystal clear. 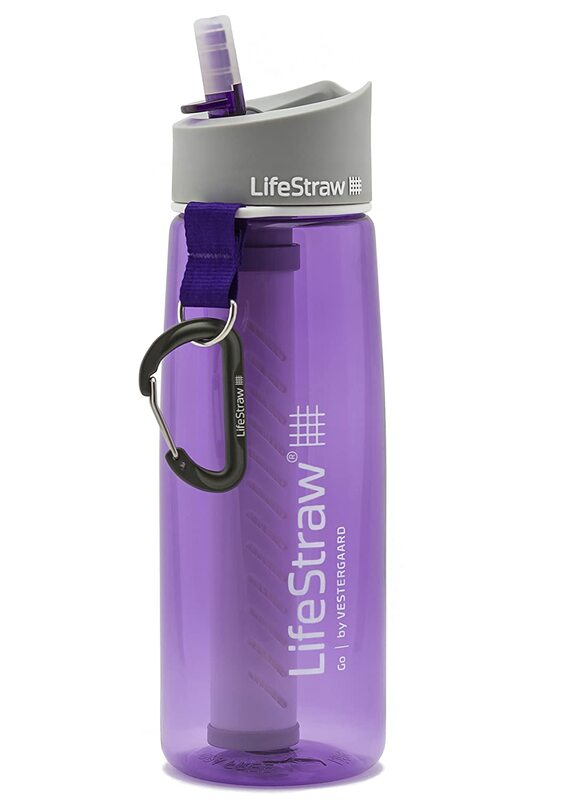 In case you’re looking for options, the Lifestraw Go Bottle from manufacturer Vestergaard can be a good choice. This water filter with its amazing features is probably one of the best water-filters you’ve ever come across. You can now add an entirely new level of fun and comfort to your trip by investing in a solid triple hammock. 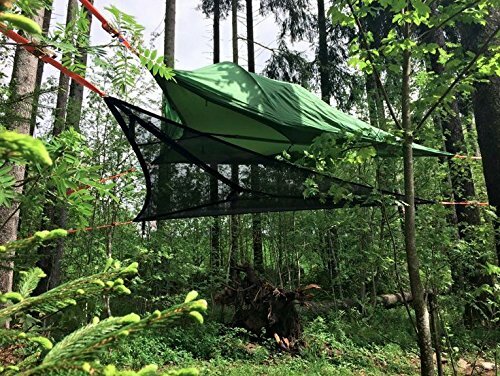 The Trillium Hammock from Tentsile is one such product. This hammock, with its exceptional sturdiness, is one of the strongest products you’ll ever find. Well, now when you have the best camping tools in hand, what are you waiting for? Choose your favorites, and head for just the kind of camping trip you always wanted!